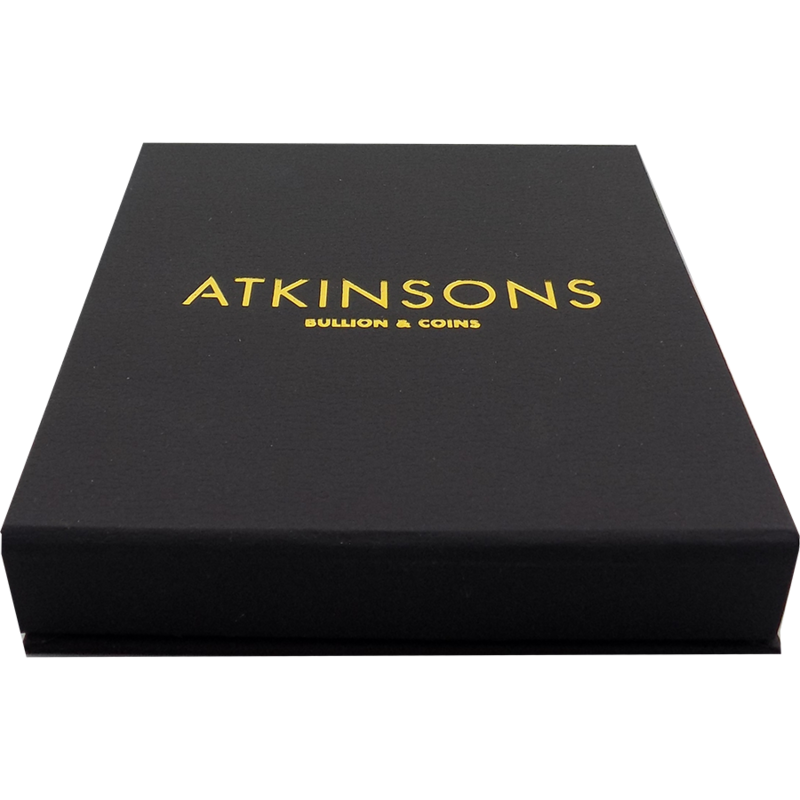 This 2019 UK Lunar Pig 1oz Gold Coin comes in an exclusive Atkinsons Bullion & Coins gift box with a capsule and an Atkinsons certificate. 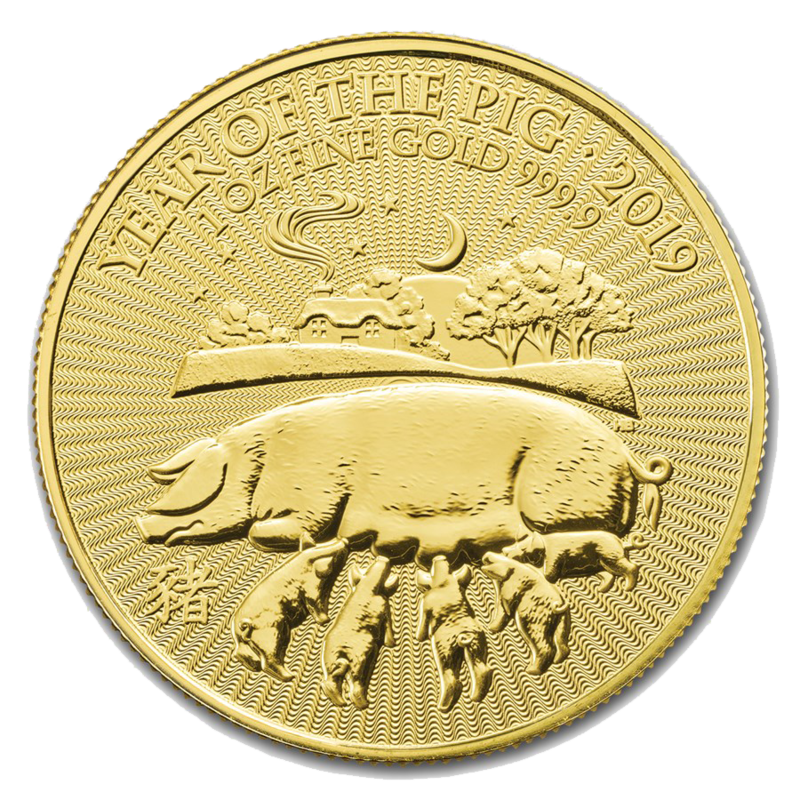 The 2019 UK Lunar Pig 1oz Gold Coin is the sixth coin in the Royal Mint's Shēngxiào Collection in celebration of the Year of the Pig, the last of the 12 animals associated with the ancient Chinese lunar calendar. The reverse design features a mother pig, nursing her piglets against a countryside night sky backdrop, along with the inscription 'Year of the Pig 2019'. Also detailed upon this side of the coin is the weight and fineness. Dimensions: Diameter: 32.69mm Thickness: 2.7mm. Supplied in a gift box with a certificate. 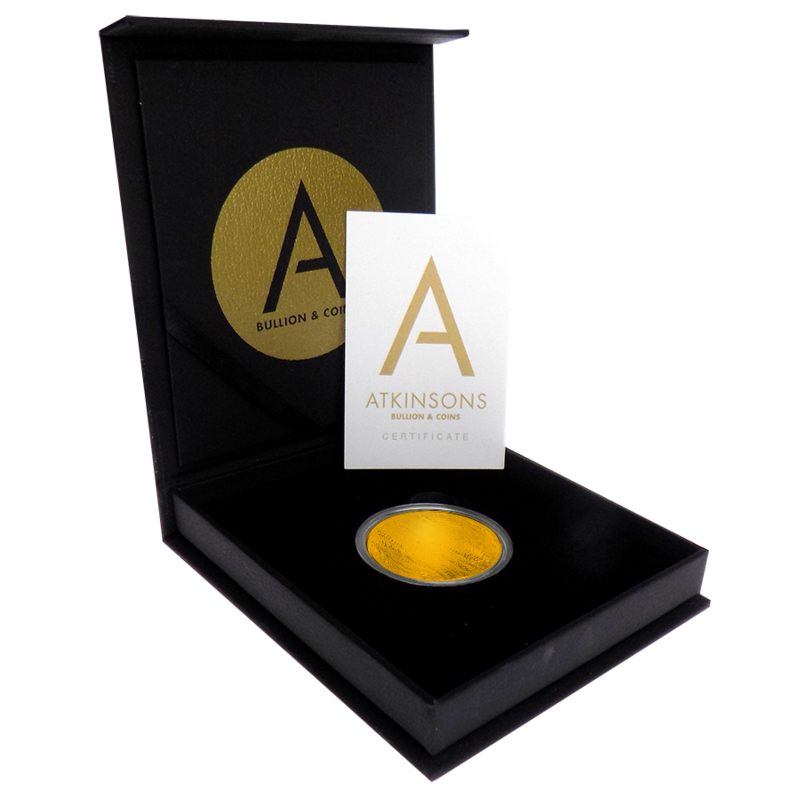 The Lunar Pig coin is the sixth coin in the Royal Mint's Shēngxiào Collection. The Pig is the last of the 12 animals in the 12-year cycle of the Chinese zodiac. 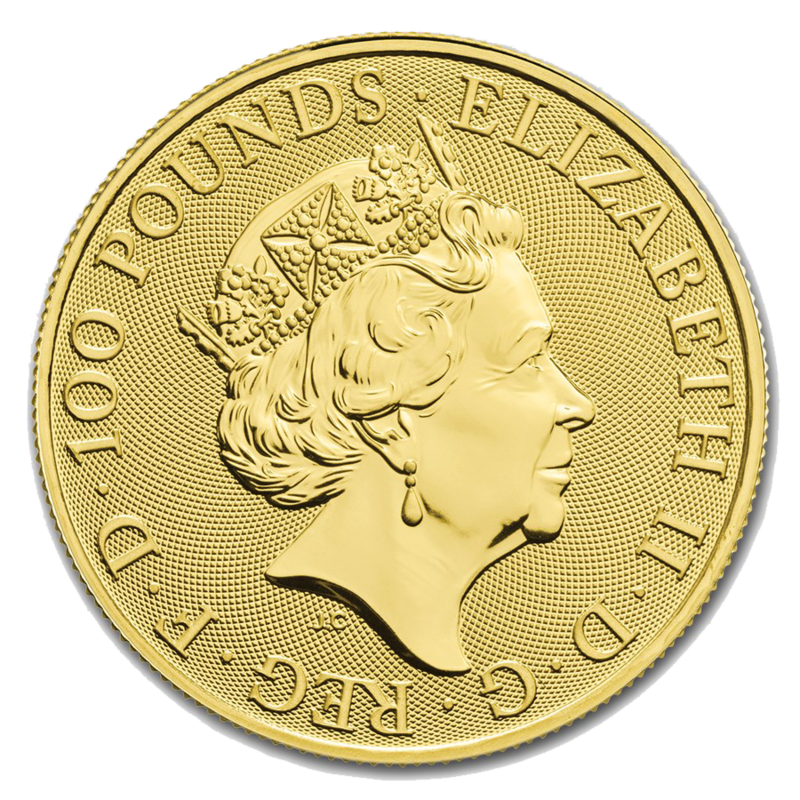 The coin has a limited mintage of 8,888 coins.